After talks with US officials, Defense Minister Ehud Barak said Monday that Washington "understands and supports" Israel's security needs in Gaza. In the United States for a working visit this week, Defense Minister Ehud Barak met on Monday with U.S. Secretary of Defense Robert Gates. The two discussed a range of regional issues, including Israel's announcement that it would ease the blockade on Gaza. Barak said that Washington understands supports Israel's policies in Gaza. However, Barak told reporters later, Washington understands the need to retain a security blockade against Gaza. “The United States understands and supports the steps we are taking in Gaza,” Barak said. 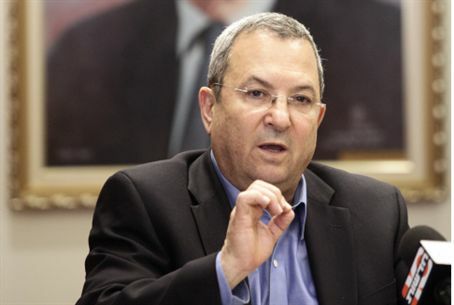 During the meeting, Barak raised the issue of kidnapped IDF soldier Gilad Shalit. Barak told Gates that the there was no “humanitarian crisis” in Gaza. “There is no famine in Gaza,” Barak said. "A million and a half people are living in Gaza, but only one of them is really in need of humanitarian aid – and that person is Gilad Shalit." Barak added that Shalit had now been held by Hamas for some four years, “in violation of all international conventions and agreements. The human rights activists are blind to the fact that he is being denied his basic human rights."